 Jane Tully, director of external affairs at the Money Advice Trust, welcomes the government’s announcement of a new call for evidence on the impact of bailiff action on people in debt. The move follows the advice sector’s Taking Control campaign for fundamental bailiff reform. 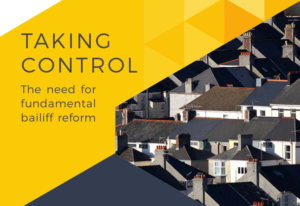 A little over a year ago, the debt advice sector came together to publish Taking Control: The need for fundamental bailiff reform – a joint report now endorsed by a group of 10 charities on the experiences of our clients since some limited bailiff reforms came into effect in April 2014. Since then we have been working with stakeholders to explore the report’s findings and recommendations. Monday saw some welcome Bank Holiday news from the Ministry of Justice, with Justice Minister Lucy Frazer announcing a new call for evidence on the impact of bailiff reform, looking specifically at the behaviour of a minority of bailiffs. As Joanna has blogged previously, the 2014 reforms have had only a limited impact – with people contacting National Debtline and other debt advice agencies continuing to report significant problems with the behaviour of some bailiffs and bailiff firms. The word ‘some’ is important – as the Minister said yesterday, we are not talking about all bailiffs here. Nevertheless, the impact of the actions of a single bailiff can be significantly harmful for people in debt – many of whom are in vulnerable circumstances. What’s more, based on the evidence of poor practice that advice agencies help people to deal with week in, week out, it is clear that it is the system – not just the behaviour of a few ‘rogue bailiffs’ – that needs fundamental reform. That’s why through our Taking Control campaign, the advice sector has come together to make the case for the further reform needed – including independent regulation, a single, free, independent complaints mechanism, and a review of bailiff fees to make sure the statutory fee structure that is in place does not inadvertently incentivise poor practice. Over the last year we have been engaging with the Ministry of Justice and industry stakeholders – including many of the key players in the bailiff industry itself, who have been keen to better understand our concerns. There are some encouraging signs that the industry is beginning to take these more seriously. The main part of yesterday’s announcement was the long-awaited publication of the Ministry’s one year review of the bailiff reforms – conducted in 2015 but only published this week. Of particular interest is the 38 percent figure given for the proportion of successfully enforced warrants that are settled at compliance stage – lower than the 50 percent that was predicted when the reforms were being designed. The review concludes that, despite the representations the advice sector made at the time, “the evidence provided does not indicate that [legislative] changes are required at this stage” – a conclusion based, of course, on its assessment of the working of the reforms in 2015. The review does stress that the reforms were still ‘bedding in’ at the time this analysis was conducted – and we are keen that the Ministry of Justice also conducts and publishes the promised three year review, for a more complete analysis of their impact. The review does, however, acknowledge the sector’s ongoing concerns over the impact of bailiff action on people in debt – and we are pleased to see the Minister acknowledge these specifically too, through the forthcoming consultation exercise. This announcement certainly does not go as far as the advice sector would have liked – but it something, at least – and we look forward to working with the Ministry of Justice as it conducts its call for evidence. Read the Taking Control report here. The advice sector is gathering evidence on people’s experiences of bailiff action since 2014 at www.bailiffreform.org. Next Could the FCA have a role in the regulation of enforcement agencies?